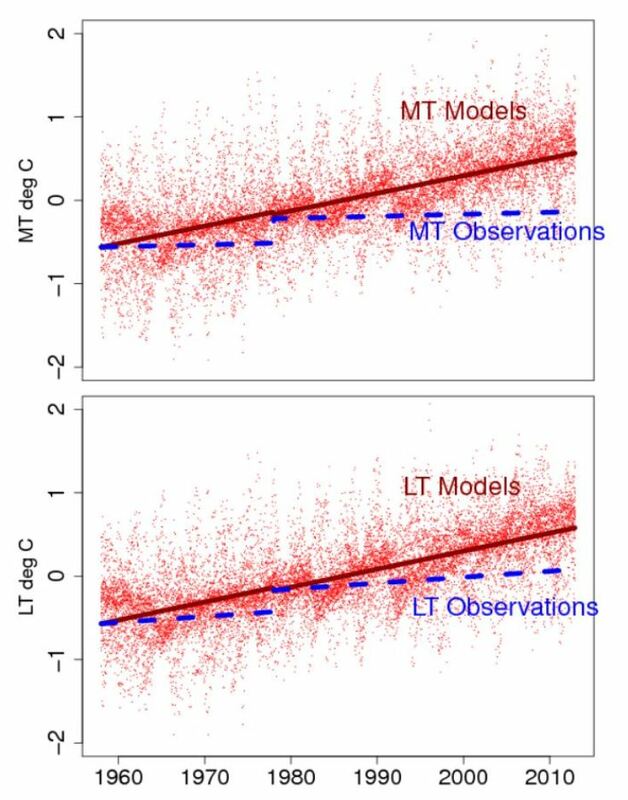 In a new study published in the journal Environometrics, economists Ross McKitrick and Timothy Vogelsang compare climate models and observations over a 55-year span (1958-2012). Observations are from three sets of weather balloon measurements of tropical troposphere temperatures. Those are compared with 57 runs each of 23 CMIP3 models used by the IPCC in its 2007 Fourth Assessment Report (AR4). 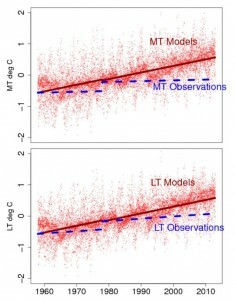 The graphic below shows how model projections compare with balloon data in the lower- and mid-troposphere over the observation period. Click here to read McKitrick’s commentary as posted on Drudge Climate Audit. Click here to read columnist Andrew Bolt’s commentary posted Tuesday on the Drudge Report. Click here to read the full McKitrick-Vogelsang study.